Click the logo below to visit the provider's web site. TALI is proud to partner with Travelocity Business. Click here to download the "user creation process" explained. This is a PDF document. Click here for a complete online tutorial on how to use the Travelocity Business web site. Discount of 5% on all PI equipment and publications orders under $300, and discount of 10% on all PI equipment and publications orders over $300, from Thomas Publications and Law Mate America. For over a decade True Perceptions Inc. has helped PI company’s nation-wide increase their revenue by 20% or more and we will do the same for you. We understand your industry and know how to penetrate your market. We will provide all TALI members a FREE 1-hour business consult and 5% off our consulting, marketing and sales services. If you need more business call us today at 678-583-0401. The Texas Association of Licensed Investigators (TALI) members now have access to consumer driven healthcare discount membership benefits through BGS Agency; Xpress Healthcare. Whether you’re uninsured or under-insured, save money for you and your family ... all plans under $50 monthly. Discounted rates at hotels through Choice Hotels including (a) Comfort Inn (b) Comfort Suites (c) Quality Inn (d) Sleep Inn (e) Clarion (f) Cambria Suites (g) MainStay Suites (h) Suburban Extended Stay (i) Econo Lodge and (j) Rodeway Inn. The preferred & most used Dental insurance plan in America; with no deductibles, no monthly, yearly, or lifetime limits, and no limitations on pre-existing conditions. Dependent children are eligible up to the age of 26. Our programs start from as low as $39.95 per month. Come visit us @ DENTAL PLAN, and for affordable healthcare programs visit us @ HEALTH PLANS. Receive the same rate as State employees with our special code, and at various times of the year, an additional 10% discount off of the Best Available Rates listed. Discounted rates with Avis Car Rental: discounted rates including members-only deals, Avis Preferred® Service, plus the opportunity to earn reward days. Discounted rates with Enterprise Car Rental: Up to 5% discount on standard published undiscounted daily, weekly and monthly market driven rates. Discounted rates with National Car Rental: Up to 5% discount on standard published undiscounted daily, weekly and monthly market driven rates. 10% Discount on design services, including logos, web site design, and more. The nation's leading PI industry merchant account provider for over 21 years. A special Affinity Benefit Program has been created just for TALI Members that includes no application fee, no monthly minimum fees, no cancellation fees, and much, much more. Click here to read a PDF document that explains this plan in detail. Transform every e-mail message you send into a dynamic communications, branding, and sales & marketing tool with a 10% discount on professional designed, electronic e-mail letterhead or virtual business cards for your e-mail messages. 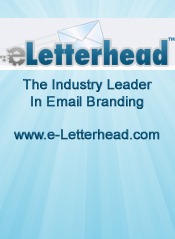 Click here to receive an e-mail right now to your inbox of a sample branded e-mail letterhead. Click here to receive an e-mail right now to your inbox of a sample branded virtual business card for e-mail. Receive special pricing on all ships and sail dates, according to availability. In addition to offering the best price available and service to your members, we will be offering all bookings an "in cabin amenity" of their choice. Choices will include a bottle of wine or champagne, beer or soda (6 bottles), a fruit basket, or chocolate covered strawberries. Yodle will make sure YOU are showing up for Internet searches--not your competitors. And right now, as the newest Preferred Vendor of TALI, Yodle is offering all TALI members discounted set up and website design fees when they start advertising with Yodle. "The Case File" is a comprehensive take-it-with-you case management system written by investigators for investigators. It's designed to go everywhere you go and cover every aspect of a case from client / job intake, through a complete investigation, to final adjudication. For a free how-to e-book with sample forms, click here. The Attorney Case File offers full flexibility and incredible detail for handling most any type case your office handles. It provides equal attention and focus to civil or criminal, family or corporate, tax or tort, plaintiff or defendant, court or office, and is indispensable for case management at any level of expertise, and in any size office. The primary goal of the Attorney Case File is to make your law office or legal service everything it can be and to make you more successful in the process. For a free how-to e-book with sample forms, click here. Some of the above Corporate Benefits require the use of a special Membership Number or Corporate Discount Code. This information is provided to all TALI Members. If you have misplaced any of your numbers or codes, please click here to request replacements. Access to TALI online distance learning courses. Click here for additional information. Magazine: A subscription to the industry leading publication by TALI, “The Texas Investigator” published quarterly. Business Support: TALI members get access to free business development tools like marketing tools, business forms and more. Tools for Marketing: Your clients understand your commitment to professionalism, training and your industry by being a part of the leading PI Association that is an added marketing tool for your business. You also get tips on how and where to market your services. Legislative Support: You receive support and a strong voice in government through our legislative committee that monitors and helps fight legislation that is adverse to you and our industry. Through our lobbyist and this committee, we monitored approximately 90 bills in the last session that would have closed access to records or had other harmful effects on our members. Unlicensed Activity Monitoring: The unlicensed PI committee helps identify and stop those individuals and companies operating unlicensed and unregulated. This assists our members in providing a fair competitive field in which to operate. In the past two years this committee has identified approximately 75 unlicensed PI’s and worked with the Private Security Board to resolve this issue. Process Server Classes: The TALI process server classes are offered throughout the state. This means even more opportunity to acquire the state mandated class for process servers by professional and experienced instructors. Click here for additional information. Conventions: Discounted registration to our two conferences each year where you not only have access to industry leading seminars, vendors and training but also a tremendous opportunity to network with others within the industry. Advertising Assistance: As a member you will receive a listing in the "Locate an Investigator" section of the TALI web site, which is one of the top three most visited pages on our web site. Certificate of Membership to display demonstrating your commitment to the industry, continuing education and professionalism. Regional Meetings: Our regional meetings each month allow members to obtain free CE hours, network, and trade useful information. Check the TALI Calendar for schedule. TCI: As a member, you have the opportunity to complete the Texas Certified Investigator (TCI) training and become part of a prestigious group. The TCI designation is further proof of your professionalism within our industry. On-line Group Access: As a member you gain access to the TALI Online Yahoo Group where you can quickly obtain help, information and resources from fellow members who share their extensive experience and tips. Member Spotlight: Obtain the opportunity to be sponsored in our Member Spotlight email to our membership as well as having your biography and information posted on the TALI website. Internet Exposure: As a member, you get to take advantage of the marketing efforts of TALI and be benefited from this exposure. Coming soon - Archived Articles: As a member, you have access to previously published articles, tips and information that can assist you in researching investigative topics.